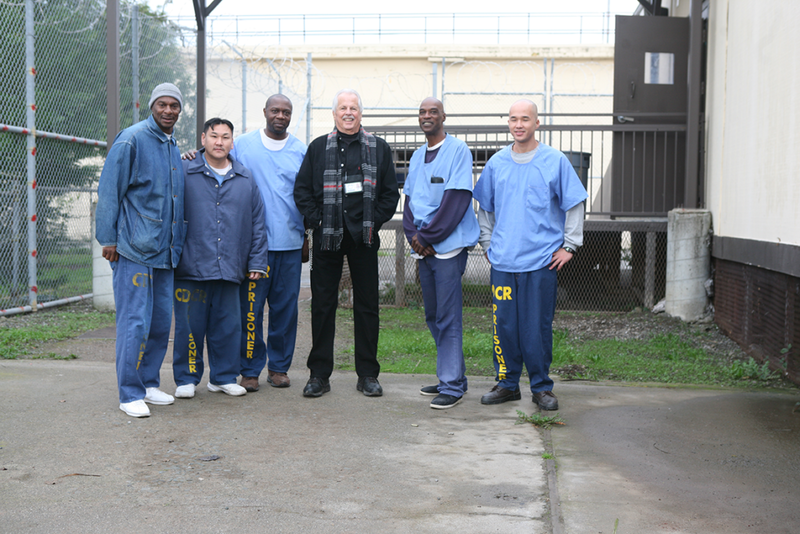 Recovering addicts in San Quentin said goodbye to long-time volunteer Rick Baez in the Addiction Recovery Counseling (ARC) program. “A lot of people in society tend to think people in prison are throwaways, especially those with addiction issues, but that hasn’t been my experience work- ing here,” said Baez, 74, director of the ARC program. Baez has volunteered since 2006 at San Quentin. “I’ve known Rick since 2009, when I first participated in this program,” said Terry Burton, an ARC graduate. Baez’s work with addicts is personal; he has been in recovery from alcoholism since 1979. “I started drinking alcohol when I was 14 years old and became an alcoholic by 19. It wasn’t until I was 35 years old that I stopped, with the help of Alcoholics Anonymous. “I used to drink to make my problems go away, but it only prolonged the problem until it got worse and worse until I couldn’t ignore it anymore,” Baez added. From the age of 19 to 35, Baez experienced three failed marriages and the loss of job opportunities as a result of his drinking. During those years Baez would begin the day by drinking beer for breakfast, wine for lunch, and whiskey for dinner. “If I wasn’t drinking, I would go into withdrawal. I would sweat, have the shakes, and I wouldn’t be able to go to work,” said Baez in an interview. Treatment for his alcoholism came from a frequent shopper at Baez’s grocery store. “A guy who was in recovery often came in for coffee and donuts for his AA group, and one day, he asked me if I was still on the sauce, and I said, ‘Yeah.’ Seeing him made me aware that recovery was possible. So I joined an AA group,” said Baez. After several years of sobriety, Baez took the advice of a close friend and started school to become an addiction counselor. In 1982, Baez began interning at the Phoenix outpatient program in Dublin, Calif., and within three years he became the director of the program. Baez eventually retired as director of substance abuse at John Muir Hospital in Concord in 2009. “Since my volunteer work to oversee the ARC program in 2006, it has always been my goal and role to mentor the inmate counselors to become professionals by teaching them the necessary skills to enter the field of addiction when they get out,” said Baez. In response, Edward Scott, 50, an addiction counselor at ARC said, “When I started this program as a trainee I didn’t get along with Rick because of my own issues of inferiority, but he has helped me overcome my fear, and today I have become better for it. Baez isn’t paid and travels more than 100 miles to get to San Quentin and back home. “What inspires me to get up each morning to drive through the traffic to get here is the results I see. There are guys who I have worked with that have served upwards of 40 years and got out and become successful; this is what inspires me. “I will forever cherish the memories that I have made in San Quentin,” Baez added. Baez will retire to Oregon with his dog Ivy.